Whether it looks like a rooster to you or the sunrise, one thing's for sure. 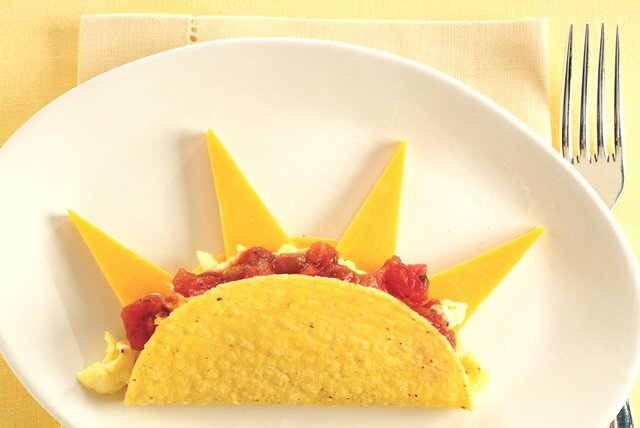 This Sunrise Taco is a tasty way to start the day! Cook eggs in nonstick skillet until set, stirring occasionally. Season with salt and pepper. Spoon evenly into taco shell. Arrange cheese triangles in shell to resemble a sunrise. Prepare as directed, doubling all ingredients. Makes 2 servings, 1 taco each.